Laurel Tree Workshop – Angela Blanc: Progress! Bee busted out the Tudor style corset in no time (the gal has amazing corset skills), and her next goal is making the skirt. She has already hand-pleated layers of tulle and yards upon yards of the white fabric to create the under layer of the skirt. 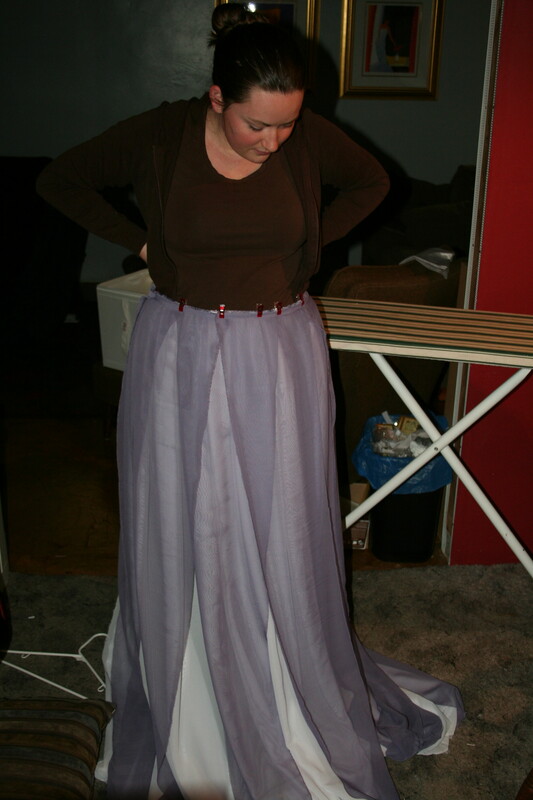 We’re using a sheer purple fabric to layer over the top in tapered panels to create the final look of Angela’s skirt. It already flows beautifully, and it’s not even done. We’re pretty excited about how it’s turning out. We’ve seen a lot of different ways that folks have made Angela’s wings: tiny wings, big wings, fluffy wings, somewhat sickly-looking wings. The biggest challenge with all of these wings is the feathers. 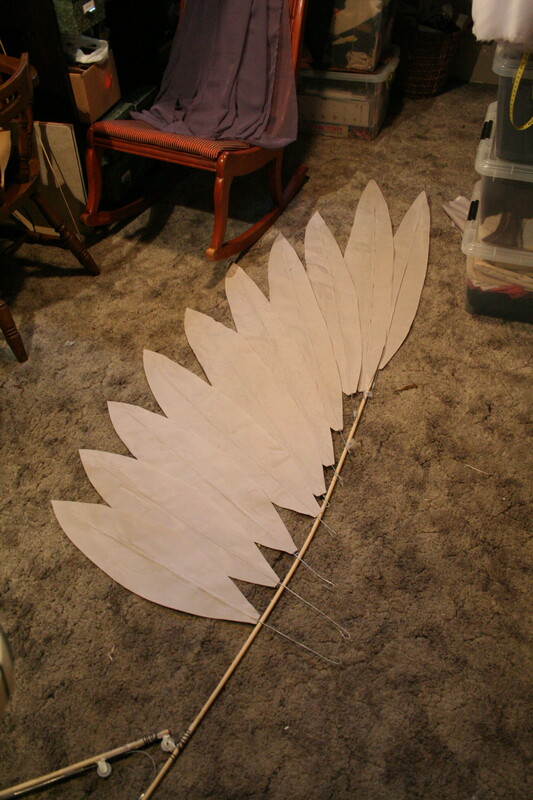 We’re trying to make the wings as close as possible to the Anime, so that means BIG FEATHERS. The largest real feathers available are ostrich feathers, but they are far floofier than we wanted. So, we’ve decided to make our own. After much experimentation, and plenty of trail and error, Elleth finally figured out a method using fabric, starchy goo, and wire.